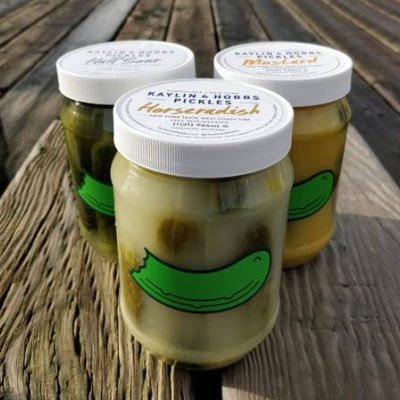 Kaylin & Hobbs Pickles was started by two guys from Vancouver – Chris and Scott who started their own pickle company when they couldn’t find pickles up to their tastes. Scott Kaylin is a born and bred New Yorker and the two started their New York style pickle business out of a desire to make a great tasting pickle. Kaylin & Hobbs Pickles offers deli style pickles right out of pails, like Lower East Side New York. They serve several flavours including Jalapeño, Kosher Dill, Half Sour, Horseradish, Mustard, Spicy Dill and Full Sour pickles, and others. The pickles are also gluten free, vegan and kosher.